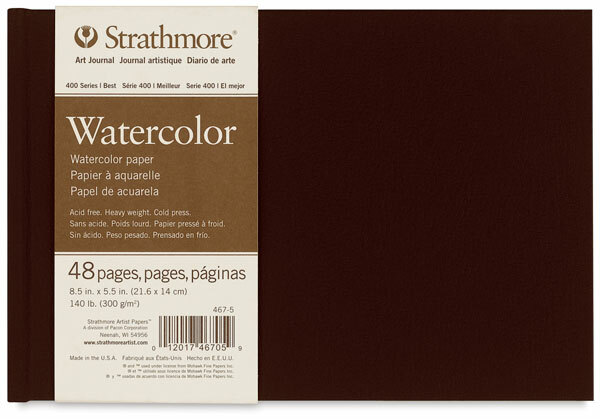 Strathmore's Hardbound Art Journals offer artists more choices in a hardbound format, such as 400 Series watercolor paper, Smyth-sewn binding that allows the books to lay flat when open, and a lightly textured, matte, chocolate brown cover. Available in three sizes, these journals hold multiple sheets of 140 lb (300 gsm), acid-free 400 Series cold press watercolor paper, ideal for fine and even watercolor washes, as well as for lifting and scraping. 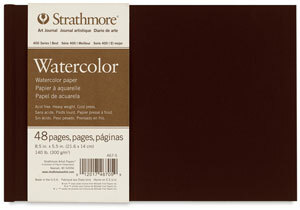 The paper can also be used for gouache and acrylics.